Imagine you planned a day out with the camera, to shoot landscapes or wildlife. You get out of bed early in the morning, open the curtains and there is a dense fog. Thirty yards or less. I guess you’d call the whole thing off and quickly get back into bed, while it is still warm. In underwater photography, thirty metres of visibility is extraordinary. In Dutch waters visibility is five to ten metres on average. Often less. The trick is to minimize the water column between the subject and the lens. This combination of diving, getting close to shy animals, composing and lighting – all suspended in mid-water and within limits of time and depth – makes underwater photography a challenge to say the least. Which explains my addiction. Minimizing the water column means that the underwater images in this website are made with macro or close focus wide angle lenses only. The lens bag contains 24mm, 60mm, 105mm and 180mm macro lenses, a 15mm fisheye and a 16-35mm wide angle lens. The camera body is a Nikon D810. Camera and lens are encased in a Nauticam aluminium underwater housing with an extra 45° magnifying viewfinder. Two Sea&Sea YS-D1 amphibious strobes provide the necessary light. Underwater photography for me is a way to show the beauty, power and vulnerability of our oceans. No place on dry land matches the reefs in colours, textures, structures and abundance of life. Over my diving years, I’ve seen the effects of decades of unlimited economic growth. Dives in 31℃ water temperature, dead, shattered reefs, plastic in even the most remote places. This can’t go on. In the long run, I hope to show the results of conservation and the resilience of the oceans, too. Expertise: corporate communications, marketing communications, content strategies, copywriting, photography. Number of dives: unknown. Stopped logging in 1992. Started diving in 1982, took up underwater photography in 1991. Occupations: works as a senior communication advisor for the city of Utrecht and freelance content creator (Rob Aarsen Woord+Beeld). 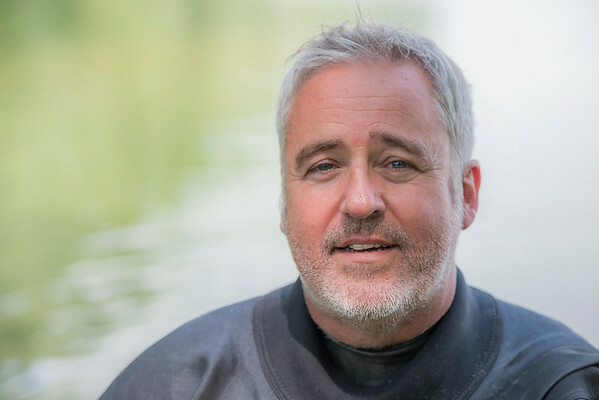 Chief editor of ‘Onderwatersport’, the magazine of the Dutch Scuba Divers Association.